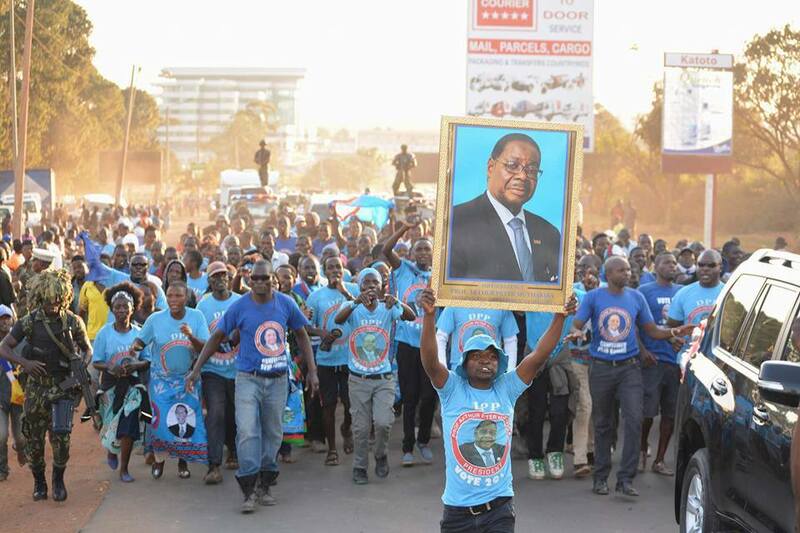 The Malawi ruling Democratic Progressive Party (DPP) never fails to entertain with it’s belief that it is so popular such that it will win the 2019 general elections with a landslide. DPP, a party that rode then ruling United Democratic Front’s (UDF) back into government in 2004, won by 66% in 2009, won by an embarrassing 36% in 2014 and had a meager support of 27% in 2017 (Afrobarometer) should know better that these simple figures can be interpreted by any kindergarten kid as decreasing popularity. A latest poll on the political environment towards the 2019 Tripartite Elections which was conducted by Malawi Institute of Public Opinion Research (IPOR) shows that in August, 2018, 33% of the respondents identified with DPP ahead of MCP(31%) and UTM(17%). Without necessarily endorsing the results of the poll, it is essential to comment on the published findings, after all they seem to have brought tremendous excitement in the country. The survey for this poll was done in August, 2018, just a month after UTM launch. 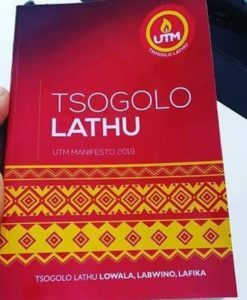 The fact that such a new organization grabbed a cool 17% just a month after it’s launch should give UTM great encouragement and cause big worries to established parties like MCP and DPP. According to DPP, this latest poll means they are on the way to a ‘landslide victory’. Unless ‘landslide victory’ has changed meaning, DPP is simply bluffing in public while shitting in their pants with worries in private. In fact this poll will cause earthquakes in DPP. DPP members will now be booking their places with other parties. This is especially so with the politicians who are used to being in government. The current results show that DPP is fast losing popularity and on the way out of government. No sane person would want to be associated with a dying party. It’s just a matter of time before we see mass exodus of members from the ruling party. Strangely, DPP is claiming the results of a survey done nine months before election and one month after UTM was launched means UTM is not a strong contender and can’t win elections. Pure delusion! Down playing UTM’s strength has now become DPP’s main activity. If you ask DPP whether it is scared of the emergence of UTM under the excellent leadership of Dr. Saulos Chilima, the answer is always no. However, if you follow their actions very well, you will see that they are under tremendous pressure and panic. Actions speak louder than words. Since the launch of UTM, DPP has tried, without success, all sorts of tricks to counter UTM popularity but has always failed miserably. They have tried buying beer for people to drink near UTM rally venues. They have brought live band entertainment to counter UTM rallies. They have conducted rallies on the same dates and near UTM rally venues and even torching UTM branded cars to disturb UTM rallies but failed. One of the latest embarrassing attempts was what they called ‘the mother of all demonstrations’ to force Chilima to resign as State Vice President. 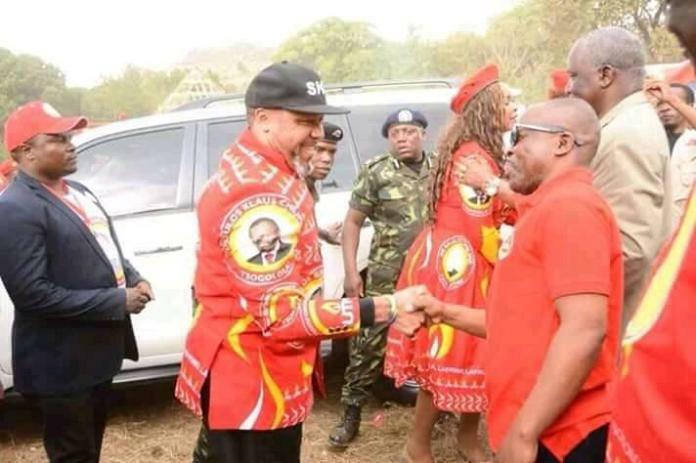 This was not the first time for DPP to organize events aimed at forcing Chilima to resign. On 27th July, 2019, some officials from the ruling Democratic Progress Party (DPP) who are also senior cabinet ministers conducted a press conference to demonize the new broom in town, Vice President of the Republic of Malawi and leader of UTM, Dr. Saulos Klaus Chilima. 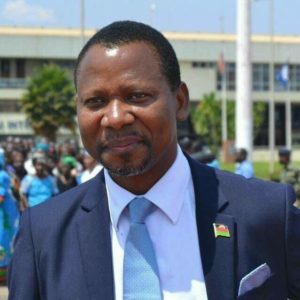 Among other things, the minister’s main objective for calling the press conference was to force Dr. Chilima to resign as Vice President of Malawi. As expected these calls yielded nothing. It was a pure waste of time. Last week these calls came again. They started with calls by DPP cadets on social media in form of articles and posters. This was followed by an announcement of a ‘mother of all demonstrations’ to force Chilima to resign. On the appointed day, we all waited with anticipation to see the ‘mother of all demonstrations’. When the photo’s of the demonstrations came on social media, I could not help but get embarrassed on behalf of DPP. The people who came to demonstrate could not even fill a small Mazda Bongo Minibus. It was a very sorry sight! Apart from what the statistics are clearly showing, the failed demonstration was clear evidence of loss of popularity by DPP. Make no mistake, DPP and it’s apologists spent a lot of time organizing these demonstrations. 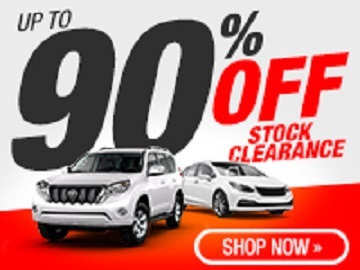 Millions of Kwacha’s exchanged hands. The organizers promised DPP gurus that the demonstrations would be massive and would result in Chilima’s resignation. What a waste of taxpayers money! When you analyse the reasons that DPP and it’s paid apologists are advancing for the VP’s resignation, you wonder what these people smoke. One paid cadet said the VP has to resign because it’s his ‘moral obligation’ that any person occupying his office owes the people of Malawi. These are the same cadets that never said anything when their leader, President Mutharika was caught red handed with a dubious 145 million Kwacha in a DPP account that he is a sole signatory. The latest news is that DPP legal adviser and die hard supporter, who is also the current Malawi Attorney General, Charles Mhango has filed a notice of appeal with Supreme Court of Malawi to challenge registration of UTM as a party. High Court judge John Chirwa last Friday ordered registrar of Political Parties to register UTM within seven days and that the registration should be backdated to September 21 2018. What more evidence does one need to know that DPP is scared to death with UTM? The painted paid cadet who is acting as an Attorney General can not differentiate between a party and government. He is an embarrassment to the law profession. He is using the Attorney General’s Office to fight battles for DPP. The sooner he resigns to concentrate on being a DPP cadet, the better. I keep laughing when I hear DPP talking about a landslide win while at the same time trying all dirty tactics to stop serious contenders like UTM which they tremendous fear because deep down their hearts, they know their popularity is going down everyday. Only blue painted cadets can believe their bluff and delusional claims of a potential landslide win in next year’s elections. The rest of us believe that the battle for control of government next year is not over.